**Tumble Forms 2 BiForm Wedges from healthproductsforyou. Price: $249.90. Discount: 40%. Categories: Health, Special Needs, Seating and Positioning, Sponsored. Deal Rating: 4.9 Stars out of 5. Store Rating: 5 Stars out of 5. Deal Recommendation: Recommended. Available Until: Limited Quantity. Thoughts: Tumble Forms 2 BiForm Wedges provide two positions in one. Side walls offer lateral support while keeping child arms flexed forward. Contoured concave shape that matches the human torso replaces the flat surfaces of traditional wedges. BiForm Wedges can be nested together for more prone and supine positioning options. **Drive Nessie Alternative Positioning Support from healthproductsforyou. Price: $281.99 Discount: 30%. Categories: Health, Special Needs, Seating and Positioning, Sponsored. Deal Rating: 4.7 Stars out of 5. Store Rating: 5 Stars out of 5. Deal Recommendation: Recommended. Available Until: Limited Quantity. Thoughts: Drive Nessie Alternative Positioning Support is the perfect companion for any child in need of assistance with proactive positioning and functional movement. 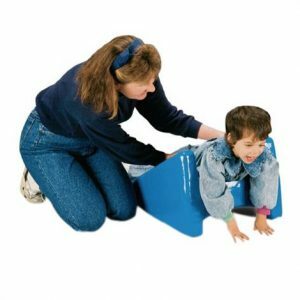 Designed for early intervention, it provides assistance with a wide range of positioning options for the child including Crawling on all 4’s, lying down, and various sitting positions.Whether working with a therapist or practicing at home, it offers the clinical benefits the child needs, with a look that is warm, fun and engaging. **Tumble Forms 2 Feeder Seat Positioner from healthproductsforyou. Price: $259.99 Discount: 30%. Categories: Health, Special Needs, Seating and Positioning, Sponsored. Deal Rating: 4.9 Stars out of 5. Store Rating: 5 Stars out of 5. Deal Recommendation: Recommended. Available Until: Limited Quantity. Thoughts: Tumble Forms 2 Feeder Seat Positioner can be used for any short-term activity in the home, clinic or school. It is a great alternative to a wheelchair or stander. Makes it easy to get the child in and out and allows for good basic positioning without complicated adjustments. Comes in four sizes to accommodate infants through adolescents. Tumble Forms seat positioner can be used with a wedge or a mobile base sold separately. **Activity Frame For P Pod Posture Support System from healthproductsforyou. Price: $295.00. Discount: 30%. Categories: Health, Special Needs, Seating and Positioning, Sponsored. Deal Rating: 4.7 Stars out of 5. Store Rating: 5 Stars out of 5. Deal Recommendation: Recommended. Available Until: Limited Quantity. 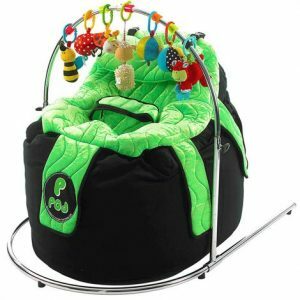 Thoughts: Activity Frame For P Pod Posture Support System can be used to hang toys on for play therapy. It allows the child to participate in stimulating activity while positioned in the P Pod. Folds flat for storage. (Toys not included). **Childrens Factory Little Tot 3 Piece Contour Set from healthproductsforyou. Price: $290.99 Discount: 30%. Categories: Health, Special Needs, Seating and Positioning, Sponsored. Deal Rating: 4.7 Stars out of 5. Store Rating: 5 Stars out of 5. Deal Recommendation: Recommended. Available Until: Limited Quantity. Thoughts: Childrens Factory Little Tot 3 Piece Contour Set creates a cozy seating area for homes, schools and libraries. This 3-piece unit consists of two chairs and one love seat and is based on a 6″ seat height. The set does not contain a wood frame or staples and is filled with solid foam making it soft and safe. A wipe clean cover makes this set easy to sanitize. Suitable for children of 12 months to 24 months. **Tumble Forms 2 Deluxe Strap Wedges from healthproductsforyou. Price: $287.99 Discount: 40%. Categories: Health, Special Needs, Seating and Positioning, Sponsored. Deal Rating: 4.9 Stars out of 5. Store Rating: 5 Stars out of 5. Deal Recommendation: Recommended. Available Until: Limited Quantity. Thoughts: Tumble Forms 2 Deluxe Strap Wedges are versatile wedges ideal for gross motor activities such as rolling, tumbling and walking. They include two wrap straps, which provide added flexibility in positioning the child properly. Movable straps support the child gently yet firmly, when and where needed to ensure the most comfortable position. Deluxe Strap Wedges are latex-free. **Loctek U2 Fitness Under Desk Magnetic Recumbent Bike with Back Rest for Office from loctek. Price: $289.99. Discount: 27%. Categories: Health, Fitness, Exercise Bike, Sponsored. Deal Rating: 4.7 Stars out of 5. Store Rating: 5 Stars out of 5. Deal Recommendation: Recommended. Available Until: Limited Quantity. Thoughts: *Buy 3 for $289.99 each and save 27%. 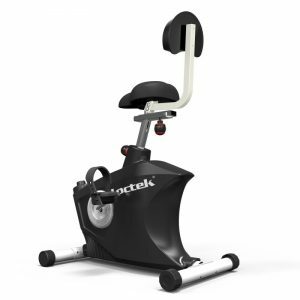 Loctek U2 recumbent exercise bike features a compact size with full function like a high-torque crank system, quiet v-belt drive, and a LCD computer display. Additional information 8-level magnetic tensions system allows you to adjust the difficulty of your workout 3-piece high-torque rank system provides smooth, consistent rotation balanced flywheel and v-belt drive deliver quiet operation.Seat with cushion accommodates users from 5’1″ to 6’2″ tall easily folds to half of the full size for storage and transportation leg stabilizers ensure safe operation when bike is unfolded. **Anti Fatigue Program from invitehealth. Price: $93.03. Discount: 30%. Categories: Health, Diet, Supplements. Deal Rating: 4.7 Stars out of 5. Store Rating: 5 Stars out of 5. Deal Recommendation: Recommended. Available Until: Limited Time Deal. 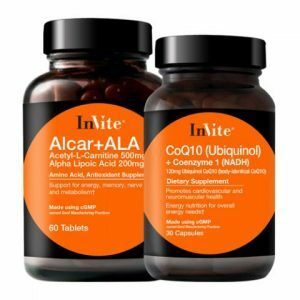 Thoughts: The Anti Fatigue Program Contains: ALCAR with ALA, CoQ10 Ubiquinol + Coenzyme 1 NADH. Non GMO! **Back and Neck Comfort Program from invitehealth. Price: $105.60. Discount: 30%. Categories: Health, Diet, Supplements. Deal Rating: 4.7 Stars out of 5. Store Rating: 5 Stars out of 5. Deal Recommendation: Recommended. Available Until: Limited Time Deal. Thoughts: InVite®’s Back and Neck Program includes three beneficial products to support health and comfort of these areas of the body that can be prone to injury and pain. **Core Nutritional Program from invitehealth. Price: $99.30. Discount: 30%. Categories: Health, Diet, Supplements. Deal Rating: 4.7 Stars out of 5. Store Rating: 5 Stars out of 5. Deal Recommendation: Recommended. Available Until: Limited Time Deal. Thoughts: Our New and Improved InVite® Health Core Nutritional Program contains four of the most popular and effective InVite® products: InVite® Core Multivitamin, Probiotic Hx®, Krill Oil, FREE Vitamin D3 600IU. **PERSOL PO3167V EYEGLASSES from eyeglasses. Price: $235.00. Discount: $105.75. Categories: Health, Eye Care, Eyeglasses, Persol. Deal Rating: 4.8 Stars out of 5. Store Rating: 5 Stars out of 5. Deal Recommendation: Recommended. Available Until: Limited Quantity. Thoughts: Shape: Modified Round. Material: Plastic. Hinge: Regular Hinge. Rim: Full Rim. Temple: Skull. Bridge: Adjustable nose pads. Gender: Male. **PERSOL PO3095V EYEGLASSES from eyeglasses. Price: $239.00. Discount: $107.55. Categories: Health, Eye Care, Eyeglasses, Persol. Deal Rating: 4.8 Stars out of 5. Store Rating: 5 Stars out of 5. Deal Recommendation: Recommended. Available Until: Limited Quantity. Thoughts: Shape: Modified Round. Material: Plastic. Rim: Full Rim. Gender: Male. Age Group: Adult. Country: Italy. **PERSOL PO3168V EYEGLASSES from eyeglasses. Price: $235.00. Discount: $105.75. Categories: Health, Eye Care, Eyeglasses, Persol. Deal Rating: 4.8 Stars out of 5. Store Rating: 5 Stars out of 5. Deal Recommendation: Recommended. Available Until: Limited Quantity. Thoughts: Shape: Modified Round. Material: Plastic. Hinge: Regular Hinge. Rim: Full Rim. Temple: Skull. Bridge: Adjustable nose pads. Gender: Men and Women. **PERSOL PO8129V EYEGLASSES from eyeglasses. Price: $242.00. Discount: $108.90. Categories: Health, Eye Care, Eyeglasses, Persol. Deal Rating: 4.8 Stars out of 5. Store Rating: 5 Stars out of 5. Deal Recommendation: Recommended. Available Until: Limited Quantity. Thoughts: Shape: Modified Round. Material: Plastic. Rim: Full Rim. Gender: Men and Women. Age Group: Adult. Country: Italy. **PERSOL PO7007V EYEGLASSES from eyeglasses. Price: $241.00. Discount: $108.45. Categories: Health, Eye Care, Eyeglasses, Persol. Deal Rating: 4.8 Stars out of 5. Store Rating: 5 Stars out of 5. Deal Recommendation: Recommended. Available Until: Limited Quantity. Thoughts: Material: Metal. Rim: Full Rim. Gender: Male. Age Group: Adult. Country: Italy. 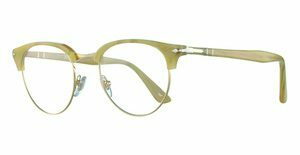 **PERSOL PO7092V EYEGLASSES from eyeglasses. Price: $241.00. Discount: $108.45. Categories: Health, Eye Care, Eyeglasses, Persol. Deal Rating: 4.8 Stars out of 5. Store Rating: 5 Stars out of 5. Deal Recommendation: Recommended. Available Until: Limited Quantity. Thoughts: Material: Metal. Rim: Full Rim. Gender: Male. Age Group: Adult. Country: Italy. Category: Mens. **3M Littmann Classic II S.E. Stethoscope from healthproductsforyou. Price: $136.99. Discount: 40%. Categories: Health, Medicine, Diagnostics, Stethoscopes, Sponsored. Deal Rating: 4.9 Stars out of 5. Store Rating: 5 Stars out of 5. Deal Recommendation: Recommended. Available Until: Limited Quantity. Thoughts: 3M Littmann Classic II S.E. Stethoscope features a versatile chestpiece design that provides high acoustic sensitivity with both a tunable diaphragm and open bell. A tunable diaphragm to hear high or low frequency sounds by slightly adjusting pressure on the chestpiece. Non-chill rim and diaphragm provide patient comfort. 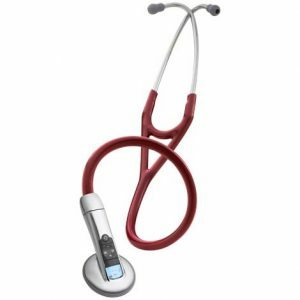 **3M Littmann Master Classic II Stethoscope from healthproductsforyou. Price: $189.90. Discount: 30%. Categories: Health, Medicine, Diagnostics, Stethoscopes, Sponsored. Deal Rating: 4.7 Stars out of 5. Store Rating: 5 Stars out of 5. Deal Recommendation: Recommended. Available Until: Limited Quantity. 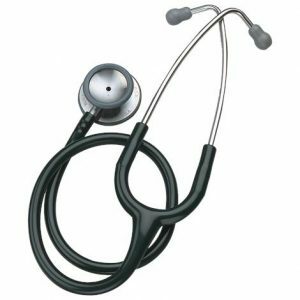 Thoughts: 3M Littmann Master Classic II Stethoscope is superior single-sided stethoscope which offers excellent acoustic sensitivity of a tunable diaphragm. It features innovative, patented single-sided Master chestpiece which allows monitoring of both high and low frequency sounds without turning the chestpiece over. The streamlined design is comfortable, durable and portable. **3M Littmann Classic II Stethoscope from healthproductsforyou. Price: $129.99. Discount: 30%. Categories: Health, Medicine, Diagnostics, Stethoscopes, Sponsored. Deal Rating: 4.9 Stars out of 5. Store Rating: 5 Stars out of 5. Deal Recommendation: Recommended. Available Until: Limited Quantity. Thoughts: 3M Littmann Classic II Stethoscope is uniquely designed for smaller frames with a traditional bell on one side coupled with a floating diaphragm on the other side. It is made with solid stainless steel chestpiece for high acoustic sensitivity. This stethoscope features comfortably angled, anatomically correct headset. **3M Littmann Electronic Stethoscope from healthproductsforyou. Price: $569.90. Discount: 30%. Categories: Health, Medicine, Diagnostics, Stethoscopes. Deal Rating: 4.8 Stars out of 5. Store Rating: 5 Stars out of 5. Deal Recommendation: Recommended. Available Until: Limited Quantity. Thoughts: 3M Littmann Electronic Stethoscope offers improved sound quality and ease-of-use to help users make a clear diagnosis every time. Exceptional sound quality reduces background noise an average of 85 percent with proprietary Ambient Noise Reduction Technology that amplifies sounds up to 24 times to hear faint sounds users might otherwise miss. Easy to use for quick auscultation every time, it is designed to ensure comfort and durability for everyday use. **3M Littmann Master Cardiology Stethoscope from healthproductsforyou. Price: $289.90. Discount: 30%. Categories: Health, Medicine, Diagnostics, Stethoscopes. Deal Rating: 4.8 Stars out of 5. Store Rating: 5 Stars out of 5. Deal Recommendation: Recommended. Available Until: Limited Quantity. Thoughts: 3M Littmann Master Cardiology Stethoscope offers a handcrafted stainless steel chestpiece with the portable convenience of a single-sided stethoscope. The tunable diaphragm conveniently alternates between low and high-frequency sounds with a simple pressure change on the chestpiece. It meets the exacting standards of healthcare professionals who demand superior acoustic response. **Cardionics E-Scope Clinical Stethoscope from healthproductsforyou. Price: $329.99. Discount: 40%. Categories: Health, Medicine, Diagnostics, Stethoscopes. Deal Rating: 4.9 Stars out of 5. Store Rating: 5 Stars out of 5. Deal Recommendation: Recommended. Available Until: Limited Quantity. Thoughts: Cardionics E-Scope Clinical Stethoscope is lightweight and has a slim design to easily go around the neck when not being used. It can amplify sounds up to 30 times louder than an acoustic scope. This allows the user to listen in a traditional way with increased volume. The E-Scope is being use in general clinical practice, by hearing impaired nurses and MDs, for research purposes, to record patients for use in electronic medical records, and for telemedicine. It has a control filter switch which allows the user to concentrate on heart or breath sound frequencies within a specific range. 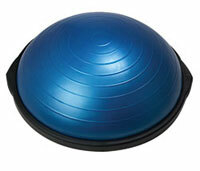 **BOSU Pro Balance Trainer from medexsupply. Price: $186.31. Discount: 27%. Categories: Medicine, Orthopedic, Exercise Equipment. Deal Rating: 4.6 Stars out of 5. Store Rating: 5 Stars out of 5. Deal Recommendation: Recommended. Available Until: Limited Quantity. Thoughts: Balance-core stability and proprioception training device. Two functional surfaces to integrate dynamic balance with functional or sports-specific training. Comes with a free pump and instructional booklet. **Sup-R Tubing – Latex Free Exercise Tubing – 100′ dispenser rolls, 5-piece set from medexsupply. Price: $203.74. Discount: 37%. Categories: Medicine, Orthopedic, Exercise Equipment. Deal Rating: 4.9 Stars out of 5. Store Rating: 5 Stars out of 5. Deal Recommendation: Recommended. Available Until: Limited Quantity. Thoughts: Latex free Sup-R Tubing is the ONLY brand exercise tubing you’ll ever need because it performs like latex with the non-allergenic properties of latex-free. Tubing is available in 8 resistance levels. Levels range in order of strength from least to greatest resistance: tan, yellow, red, green, blue, black, silver, gold. **CanDo MVP Balance System – 10-Ball Set with Rack from medexsupply. Price: $238.80. Discount: 24%. Categories: Medicine, Orthopedic, Exercise Equipment. Deal Rating: 4.5 Stars out of 5. Store Rating: 5 Stars out of 5. Deal Recommendation: Recommended. Available Until: Limited Quantity. Thoughts: MVP balance system is a modular balance system with 4 different non-skid platforms available and 5 different color-coded instability balls to choose from. The platform stability can be altered creating various difficulty levels. The MVP balance system is perfect for balance, coordination, ankle and knee strengthening and rehabilitation, ankle range-of-motion and flexibility, core stability, improved posture, and proprioceptive training. 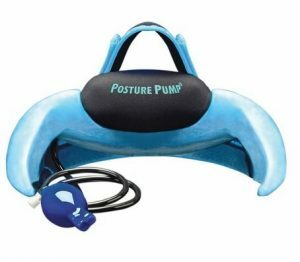 **Cervical Posture Pump Spine Trainer from medexsupply. Price: $139.49. Discount: 33%. Categories: Medicine, Orthopedic, Exercise Equipment. Deal Rating: 4.8 Stars out of 5. Store Rating: 5 Stars out of 5. Deal Recommendation: Recommended. Available Until: Limited Quantity. Thoughts: Dramatically reinforces the cervical lordotic curve. Quickly locates the cause of neck stiffness and discomfort. Easy to operate and travel with. Beautifully crafted and built to last. **Health Bridges, Stage #1, Bridge Only from medexsupply. Price: $167.69. Discount: 26%. Categories: Medicine, Orthopedic, Exercise Equipment. Deal Rating: 4.6 Stars out of 5. Store Rating: 5 Stars out of 5. Deal Recommendation: Recommended. Available Until: Limited Quantity. Thoughts: Made of durable, finely crafted hardwood. Designed to help correct posture problems and increase back flexibility. Expands the chest, rotates and lifts the shoulders, and stretches muscles and ligaments. Center slot for spinal column resting. **Clinton Wall Mount Ladder BarRac from medexsupply. Price: $167.99. Discount: 24%. Categories: Medicine, Orthopedic, Exercise Equipment. Deal Rating: 4.5 Stars out of 5. Store Rating: 5 Stars out of 5. Deal Recommendation: Recommended. Available Until: Limited Quantity. Thoughts: Can be used as a flexion shoulder ladder and/or a BarRac to store bars (Weight bars not included.) 8 levels provide a wide range of motion. Sitting to standing exercise can be achieved by combining 2 wall mount units and mounting them vertically, one above the other. Virtually unbreakable polycarbonate rods.